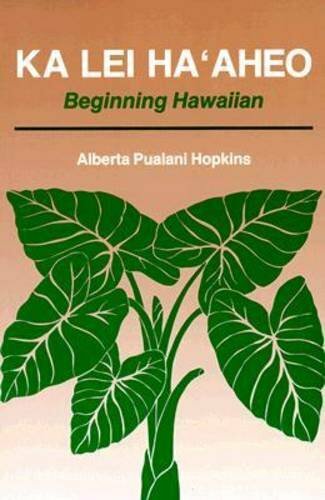 Ka Lei Ha'aheo: Beginning Hawaiian is a culturally oriented Hawaiian language textbook.Its grammar lessons include the relationship between the language and the Hawaiian world view. The book's dialogs are drawn from contemporary Hawaiian family life. Extensive classroom testing was used in developing Ka Lei Ha'aheo. Although it was designed for college use, it is also a handy resource for high schools and individuals, particularly because its companion volume, Ka Lei Ha'aheo: Teacher Guide and Answer Key provides English translations and answers to the exercises. The text's lively appeal is further enhanced with line drawings.